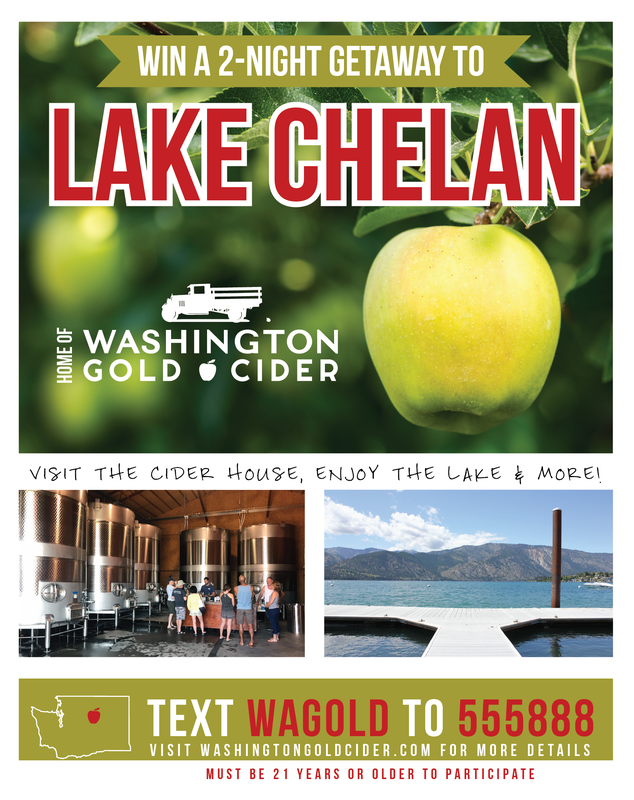 We are offering (3) 2-night getaways for two people to Beautiful Lake Chelan, home of Washington Gold Cider. We will choose 1 winner per month. Prize includes: Lodging & dinner for 2 nights, private tour of the Cider House, Cider Swag, & wine tasting. Winners are responsible for: Transportation, non-dinner meals, and all activities not listed above. Trip can be scheduled anytime after we announce your win, although blackout dates do apply. All you need to do to enter is text WAGOLD to 5558888. That’s it!